Box Text: Are humans ready to explore deep space? The Vulcans have their doubts, but in the year 2151, Captain Jonathan Archer assembles an eager crew – including one Vulcan officer – to inaugurate a new era of discovery. the days ahead will be filled with wonder, excitement, and danger. “Starfleet seems to think we-re ready to begin our mission.” the Captain tells his crew in the first episode of this latest Star Trek adventure. It is the prequel to the legendary Star Trek universe, the story of gallactic explorers in the first starship named Enterprise. To hear the Captain speaking, press the button on the top of the display base. 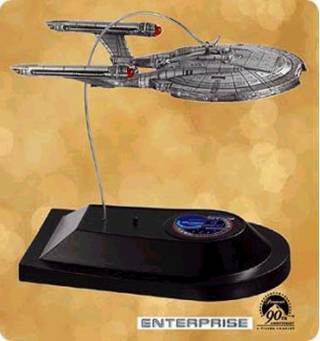 This entry was posted in 030) 2002 NX-01, 2002, Battery, Die-cast, Display Stands, Ent. 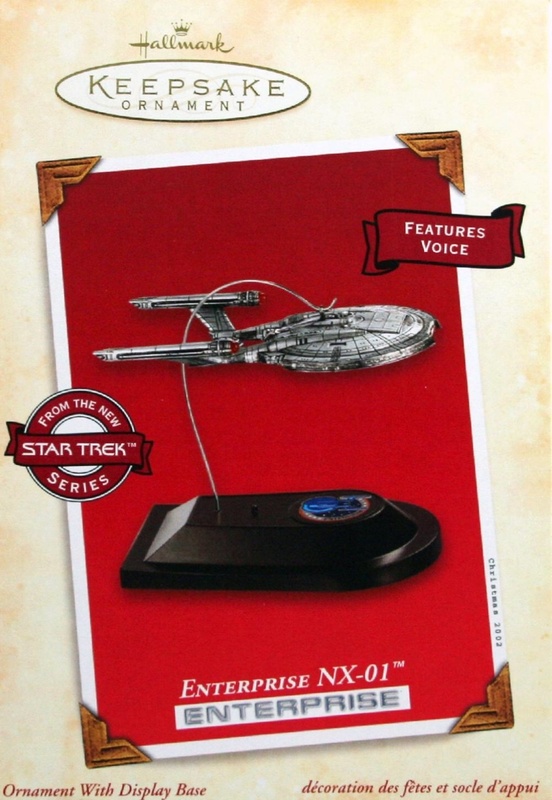 NX-01, Lynn Norton, Magic Voice, Master List, Ships, ST: ENT (TV) on October 24, 2011 by garfieldandtrump.